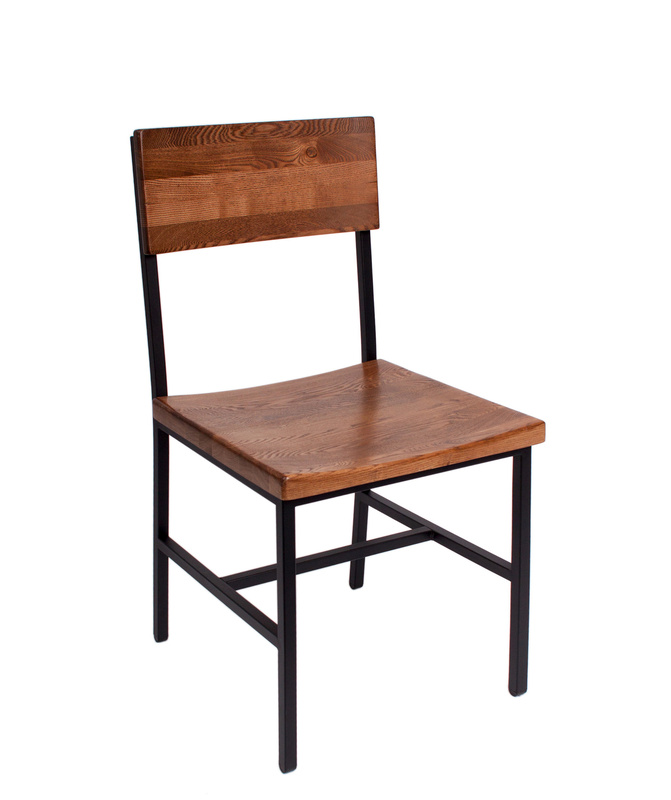 The Memphis is a great, solid chair for today's modern industrial restaurant, bar, brew pub or other establishment. The Memphis side chair has a metal power coated frame in a sand black finish. The frame is welded box tube steel. The seat and seat back is solid autumn ash wood with a natural finish. Seat and back are shaped for maximum comfort.